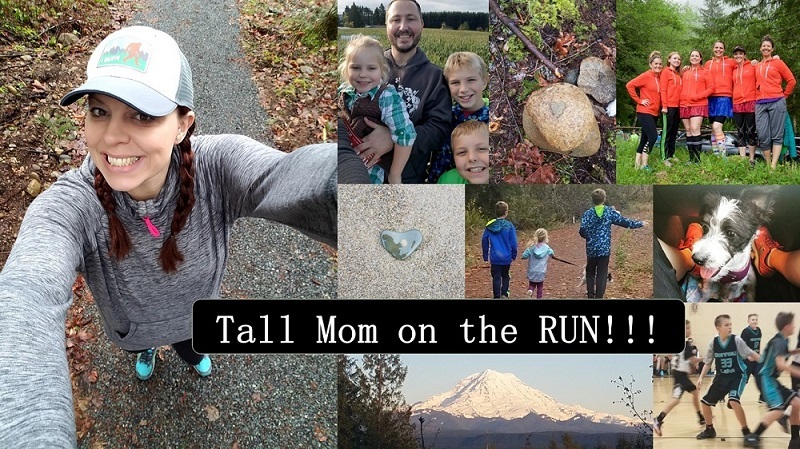 Last night I thought about going to run with the Fleet Feet Run Club to meet some new friends, but they meet at 6:30 on a DARK trail, I didn't know if anyone would be there who ran my pace and I did not want my time with my family eaten up waiting. Instead on set out at about 5:45PM to run around my neighborhood. -There is an influx of Halloween decorations, I took mental note of the houses I plan to AVOID with the Little Studs next Monday. -Running when my dinner is not settled is GROSS..
-Smells of dryer exhaust, Dinner and wet leaves. -The sun went down and it was dim, I could see my shadow in the Street signs when a car passed. -There was a game on the field at the nearby High School, the scoreboard and lights gave me a feeling of nostalgia. -My Knee felt horrible, every step was labored and painfull. I know I need to get it checked out, but I fear what the Dr. will say. -I felt heavy...remembering a time when running felt "easy" I wish I could get to that level of fitness again. -I SPRINTED up and down the hills, longing to feel SPEED. I played with SPEED during my run not able to hold it long. -An Ambulance passed, and later a Firetruck, headed toward the High School, I prayed that all was OK.
-I also prayed for Harmony and her family, for Amanda and Chelsea...I feel helpless when my friends are struggling. -It started to get dark, I looped around my neighborhood to get in 4 miles, then went home. I NEEDED this solo run. To connect with my surroundings, my body, my thoughts.. Running is not easy right now. I feel heavy and I am in pain. My schedule is busy leaving little time for a consistent running schedule. I don't have any solid Running goals or plans. What I realized last night is that regardless of how HARD it is right now, one thing is certain. And at the end of the day that is truly what matters.. I don't need to worry about Pace. I don't need to worry about my Weekly Mileage. I don't have to stress about not having a Training Plan. I don't need to have a race or BIG Event on the spectrum. Get your knee checked out! SERIOUSLY! Solo runs can be nice! I love solo runs, I tend to need them to stay sane. Hope everything is OK with your knee. I'm pretty much in denial that there is something wrong with my foot so I understand!! Solo runs are SO important to me. I feel like a snob sometimes telling no to friends... but sometimes a girl just needs her thoughts to herself. I am a solo runner. It is important to me. I am constantly dealing with reality and others emotions as a Registered Nurse on Labor and Delivery, a full-time student, a mom, and a wife. So the quiet time is all that I want when I run. It is how I cope. Please get your knee checked out. I understand that fear and am not much a doctor person myself, but it is important and may help you run a bit better. Big hugs your way Tall Mom. I like how running alone helps me pull my thoughts together. Way to make this a good one, buddy. That crappy little knee! Boo on it! Glad you still love to run though! Praying for you knee. Do get your knee looked at so you can get back to enjoying your run. Solo runs are great for reflecting on loads of things. Glad you go out and mostly enjoyed reconnecting with yourself. Sounds like just what you needed. I love running through the 'hood during dinner time and smelling all the smells... although some make my stomach turn! The best/worst (depends on the day) is the smell of bacon on weekend mornings! Go get your knee checked, lady. The sooner you do, the sooner you'll be back out there. And maybe it won't be as bad as you think. I agree with everyone, get that knee checked. You will heal the sooner you do it. And I love alone runs after I have been running with friends a lot. Time to clear the head. So happy you were able to get some "me time" in. Hope your knee feels much better now! Glad you got your solo run! And so glad you love to run!!!! I hate that you are in pain! I've been feeling too many twinges and aches lately. It's not a fun feeling. I'm a solo runner. In the early morning, in the dark, with my breathing and footfalls and thoughts to keep me company. I reduce stress, come up with good ideas, find solutions to problems and come home happy on my solo runs. ps - get your knee checked out. Not knowing is the worst. I love your honesty. Awesome for just getting out there and getting it done! Love this post. Felt like I was there with you... I love running at night. sometimes running solo, and with no goal in sight, is the best possible thing you can do. i realized it is far to easy to get caught up in running goals and lose the enjoyment. plus reconnecting with your thoughts, body, etc is far more important. hang in there, keep running for the love of it, my friend. I love my solo runs, too. Sometimes there is nothing better than being left alone with nothing but your thoughts and the sound of your feet hitting the pavement. Hope the knee is okay! I hope everything is okay with your knee!